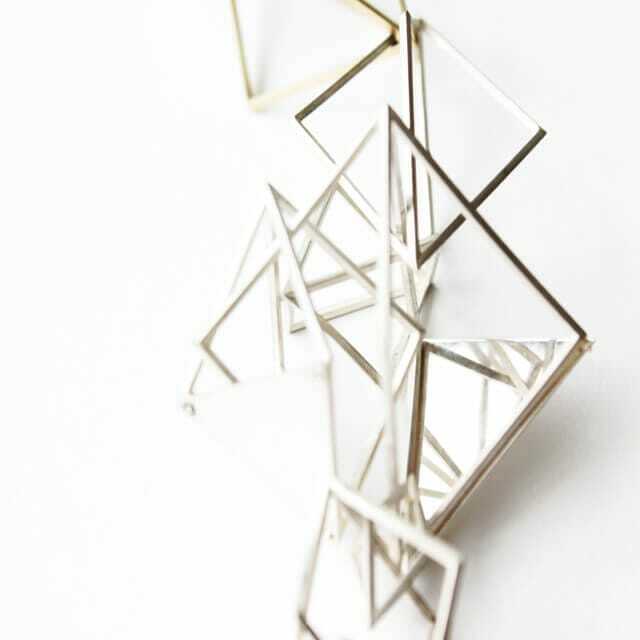 An elaborate silver and gold sculptural necklace. 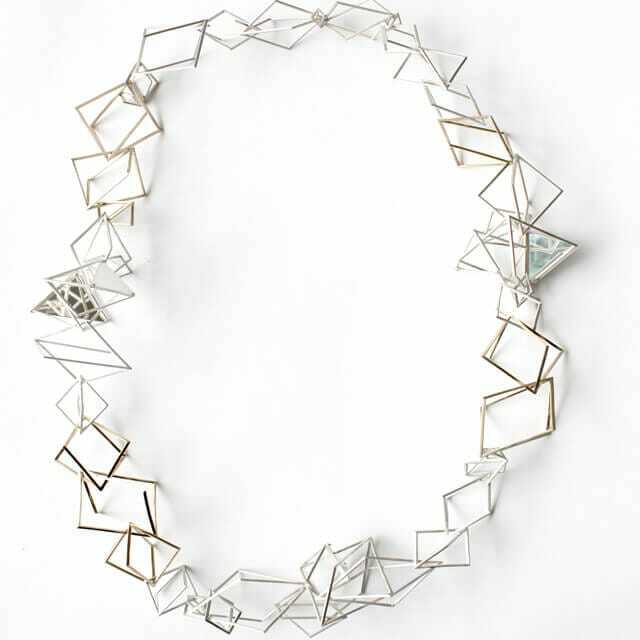 This elaborate necklace is inspired by the distorted reflections and negative space found in modern urban environments and industrial architecture. 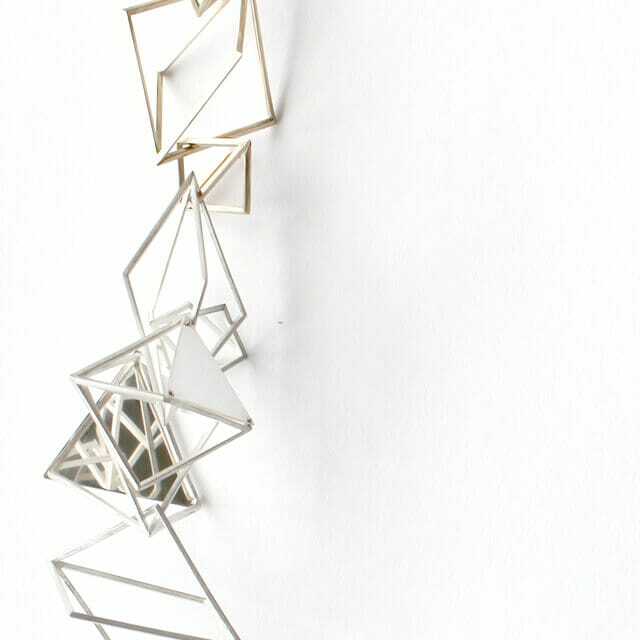 Individually handmade, the simple, geometric elements which make up this piece, combine to present a bold, statement necklace. 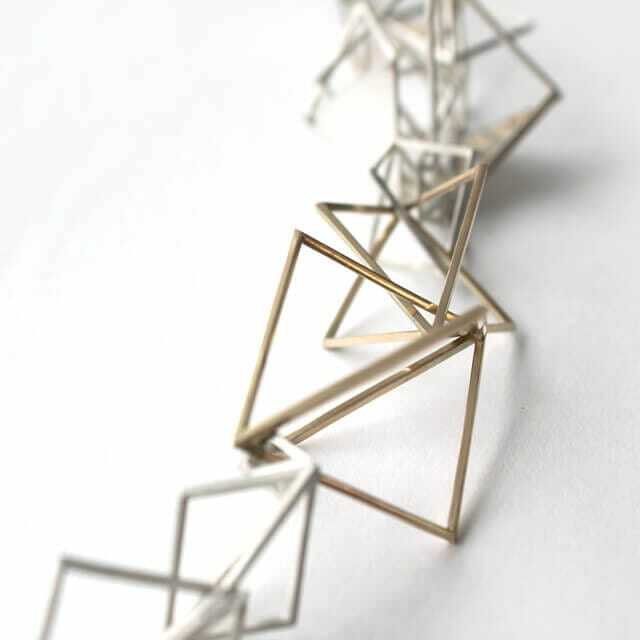 Constructed from fine square wires of silver and 9ct gold, the piece maintains a delicateness and lightness of form, making it extremely wearable. The way in which the forms are linked and intertwined provides a subtle movement, allowing the highly polished surfaces to catch the light and reflect the wire forms and the surrounding environment beautifully.